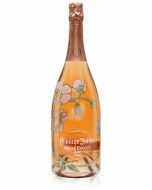 Perrier Jouet Blason Rosé Brut Champagne is a fantastic rosé and shows hints of strawberry and red fruits on the nose and a rich long palate. A delicious blend of rose and orange flowers with sensual freshness and full-bodied aromas. Pomegranates, pears, apricots, blood oranges, the fragrances of mature red fruits... a juicy and generous blend that gives way to notes of biscuit, butter and pastries. The delicate character of white honeysuckle flowers remains throughout. The Blason Rosé is an intense and balanced champagne. The attack is intense and lively. The wine is rich, with great length and character. The finish is complex and persistent. Created from the 1955 grape harvest, Blason de France was Perrier-Jouët’s first prestige cuvée, and was a landmark in the Maison history. 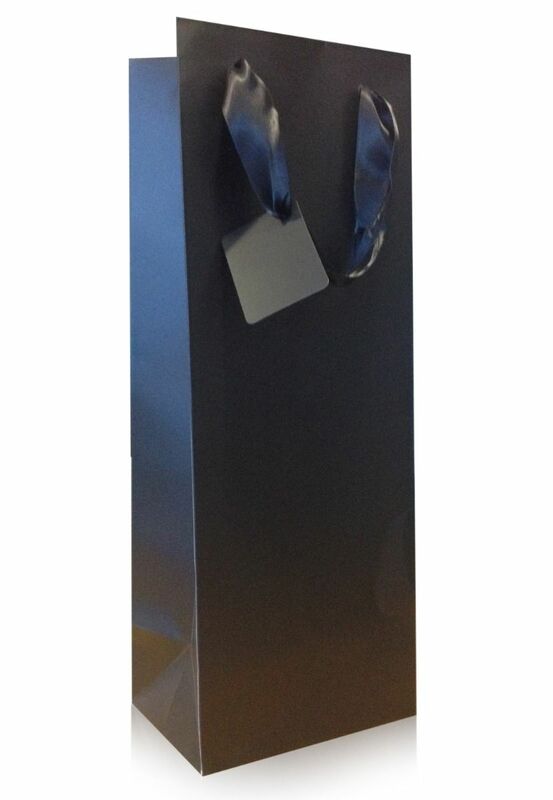 Originally available only in the most exclusive restaurants. Blason Rosé is a subtle blend of 50 different vins clairs from the best parcels of the House's vineyards. The distinctive new bottle, with its elegant slender shape, highlights the illustrious heritage and savoir-faire of Maison Perrier-Jouët and evokes the traditional form that predominated in the Champagne region before the modern bottle began to replace it in the mid-19th century. 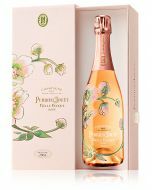 The design emphasizes the floral and intricate character of Perrier-Jouët’s wines which also makes it easier to grip the bottle by its base, for a fully authentic champagne serving ritual. 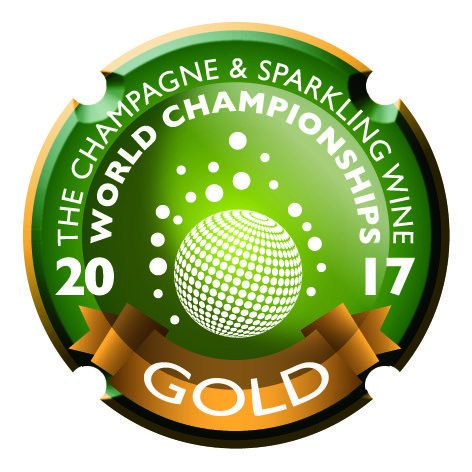 Gold Medal 2017 - Champagne and Sparkling Wine World Championships. The assemblage includes around up to 15% red wine from Bouzy is added to the blend giving extra body and fruit and producing the attractive salmon pink colour. The red wines of Aÿ and Vincelles (12 to 15%) are chosen for this cuvée, rather than the powerful pinots of the south Montagne terroirs such as Bouzy. The Blason Rosé is also the cuvée with the greatest proportion of pinots, including 50% pinot noir, 25% pinot meunier, with the elegance and liveliness of chardonnay making up the remaining 25%. The wine spends three years on the lees before disgorgement. Bright pink colour with a light orange tint. 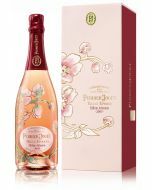 A powerful bouquet with ripe red fruit, such as raspberry and wild strawberry, revealing hints of violet and rose petal. 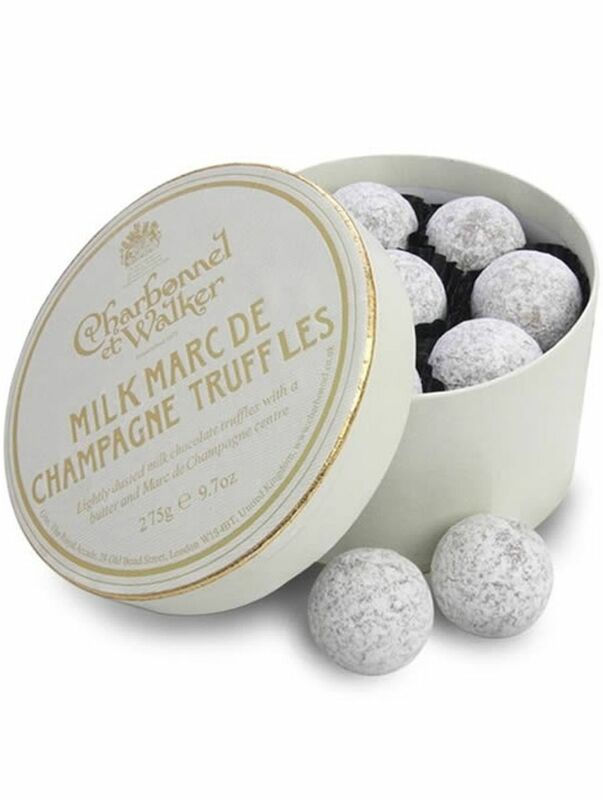 Full, textured and rich in the mouth, with a surprising light and fresh finish. With its sharp and strong sensation, the Blason Rosé is a supple and complex wine. Rich and long in the mouth. 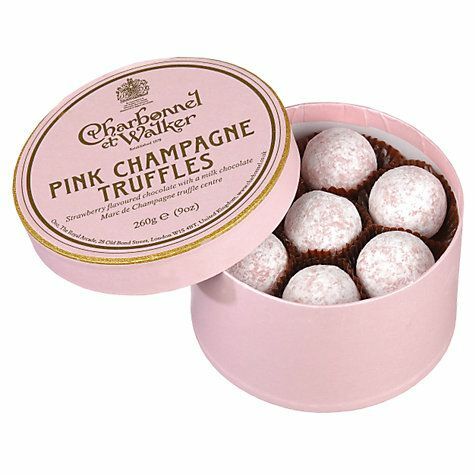 A gourmet champagne, with the authentic character of a rosé, which will perfectly express its multiple flavours if served between 9 and 11°. 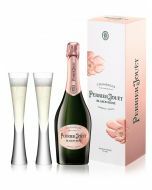 Perrier-Jouët's award-winning Blason Rosé cuvée is at once sensual and voluptuous, fresh and intense. Its manifold subtleties will best reveal themselves with the generous flavours of a lightly cooked salmon, or be brought out by an accompaniment that combines the aromas of red fruits and the freshness of baby carrots, tomatoes or sorrel sauce. Desserts with red fruits are a perfect match. 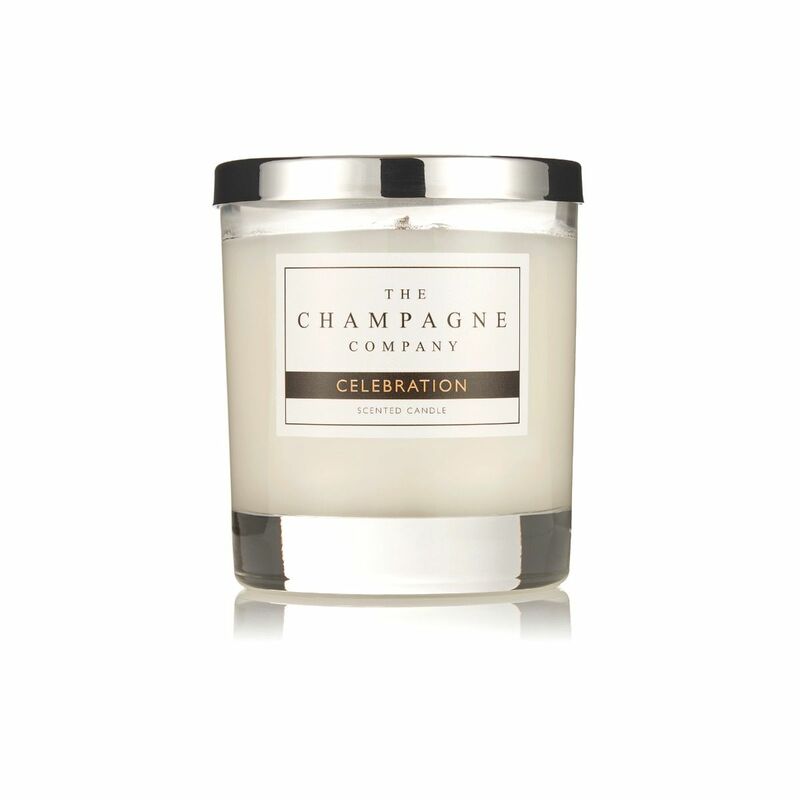 Blackberries, blueberries and raspberries on a cloud of white chocolate cream, adorning an exquisite tartlet, will heighten the seductive and fruity aromas of this voluptuous and sensual cuvée.